Born Lanre Dabiri, eLdee had a normal child hood days filled with fun. Once a member of the defunct Trybes Men. He later founded Trybes Records which rates among one of the best in terms of music production. average background. My mother worked in a bank and my father was an Engineer. It was fun growing in Kaduna because the place was quiet and without stress. And I think growing up there helped me develop my creative skills. My father was very strict while my mother was laid back and it helped create a balance. The kind of values I was raised it where the conservative one. As a matter of fact, I was very naive until I got to Unilag. Like when I was in secondary school, my mother used to drive me to parties and wait outside till everything was over. I guess she understood not allowing me to run wild. But my grades right from primary to secondary school were very good, I was an all-A student. So, she didn’t really have an excuse for not letting me do other things. She was the one who paid for everything right from the studio sections to the recordings, equipment and studio office. Having said your upbringing was conservative, how did you cope in UNILAG? I think it was already too late to break out and become a crazy person when I got to Unilag. My parents had done all the job of containing my madness as a child. First of all, I didn’t want to go to Unilag or even come to Lagos. I wanted to go abroad to school but my dad insisted that I stayed back. So when I was in Unilag, I was an introvert. And for the first couple of years, I didn’t want to go out and do any other things or mix with people. I was in my own little world. Anytime I left class, I’d go to my room. Because of that, one of the things I did to keep myself busy was music and that was how it became easy for me to do Trybes Men. That took my time away from all other craziness that others did. Also, Unilag was a harsh culture shock for me because I wasn’t used to their ways of doing things. Coming form a neighbourhood like Kaduna where everyone takes care of the other, no one stole your things. So, I started learning those harsh things. In Unilag, everyone was just fake, pretending to be what they’re not and it made me feel weird but I had to deal with it because it’s part of growing up. 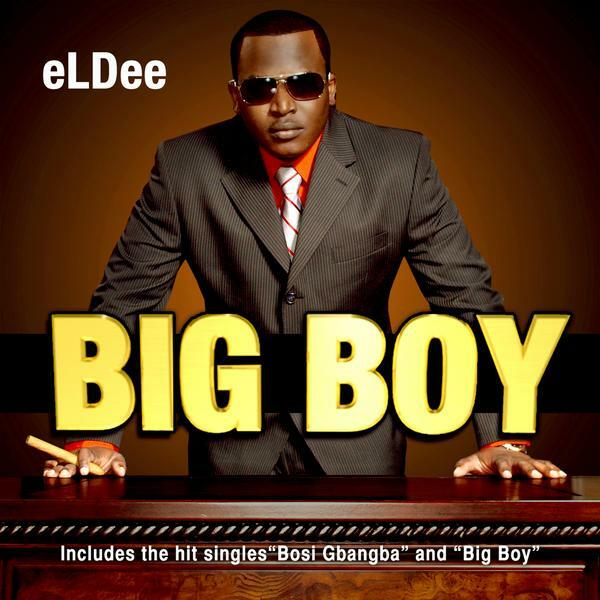 Lanre Dabiri aka “eLDee the Don” is the founder of Trybe Records. A music producer, songwriter, performing artist, and a qualified architect. I’m sure back then, music was just a passion. At what point did you discover you wanted to do it professionally? When I was in Unilag, music was something I used to get away from other craziness around me. So, anytime I listen to Nigerian music on radio, I always thought we could do better. Back then there was a lot of reggae and I felt we could create our own sound. Then I decide to fuss somethings together. And when I started recording and people heard it, they liked it because it’s different. It encouraged me and I decided to do it big, that was way back in 1997. How has the journey into music being so far? It was very difficult breaking into the industry because we came with an entirely different sound which most people didn’t understand. Most people wanted to run it down and didn’t want to hear hip-hop. But it was a challenge for me because I wanted to prove that it could work. At that time, I went to all the record label in Nigeria and none of them was interested because they felt our music didn’t make sense. That was the reason why I decided to create my record label because I believe in it enough to put my money into it. We tried it and it worked. Our music got on air, everyone liked it and before we knew it, everyone was trying to do the same thing. How many people do you have on your label and how do you cope with them? When I started, I had nine artistes like Sasha, Dr.Sid, Tu Shotz, Trybes Men-me, Freestyle, KB, Oladele, Blaze, Timi The Black One, Double O. Of all those people before I traveled, I made sure I recorded singles for each of them. At that point, I felt I had done enough to set them rolling and they did well on their own. To me, it was success because even though there was no Trybes Men anymore, the whole idea didn’t die with me not being around. So when I left, I still followed their progress. I felt I’d done enough for Nigeria but I wasn’t growing here. I had limitations and wanted to be in an environment where I could learn music professionally. When I left, I let them go. 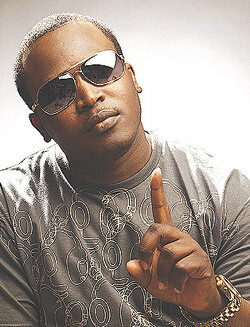 And when I came back, I didn’t have any artistes-it was just me and Oladele who is still in the States. Then I decided to do a competition this year called Top Talent. The competition was to look for new artistes. And two new artistes-K9 and SoJay were signed a few months ago. How did Trybes Men take the news of your going away? Trybes Men, made up of me, KB and Freestyle had already packed up before I traveled. It was due to personal differences. Money could have been part of it but it wasn’t the main thing. I really don’t like talking about it but the truth is that I put in too much but got too little especially from the group. I wrote our songs, produced it and as soon as we became official, Freestyle grew wings. I think immediately we got famous, Freestyle started having some weird ideas and it broke us down because he never came to the studio, wouldn’t come for rehearsals and came late whenever we had shows. So I felt he was trying to send a message that he wasn’t really interested in the group anymore which I didn’t have any problem with. So he wanted to go solo? Yes he wanted to go solo after all people told him he was the best rapper in the group. But what people didn’t tell him or what he didn’t remind himself was that we didn’t create the music, he was just a part of it. I should have been the one feeling the way he felt because I did almost everything. But for me, the vision was different. I wanted to create an idea with them and I think we created that idea. Trybes Men was like the first successful template of a crew making music in Nigeria because after then came Kennis and every other crew. Although I was pained because Trybes Men had a premature death because I felt we could have done so much more. Did you try to bring back the group after you came back from the States? No. Trybes Men wasn’t really trying to come back. Besides, I wasn’t really interested in it anymore because I realized that all the sacrifices I made for the group were to my detriment. There I was, my mother payed around eight thousand pounds for the equipment as far back as 1998. I used to visit Alaba regularly, trying to get them to sell Nigerian music. My mother gave me a car for the struggle and there was so much investment on it that I felt betrayed. It was impossible to bring everybody back after I returned. If I did that, I’d be an idiot because they thought they had wings and could fly on their own. But with the rest of the guys on the label, I was very close to them and got in touch with them while I was away. Sasha is like a sister to me, same thing with Dr.Sid, Oladele, Tu Shotz is a regular visitor to my house. We became like a family because they saw what I put into it and understood that I didn’t have to but I just did it. Does it mean that you’re no longer in good terms with other members of Trybes Men? We’re still friends. I had to put everything behind me because if I allowed myself to dwell on the past, it’’ll slow me down. I still saw Freestyle in Abuja some weeks back and we hung out. We still make music together like KB is coming out with an album and I did some tracks on his album as well. We’re still cool as friends but the idea of Trybes Men can never happen again. What were you doing while sojourning abroad? While I was there, all I thought of was how to meet A-list artistes, work with producers and learn new things and that’s exactly what I did. I did internship with companies where I learned new ideas. I was After a while when I was through with learning, I started to get work and formed a company called I-Media Play Ground. The company was into audio visuals and web. And down the line, I met some guys who had a similar company but had need for some things that I did. So I merged with theirs called Going Interactive and it still bears their name till today. Then I did lot of media interaction, sales page media, graphics, motion graphics for TV, web, 2D and 3D animation and others. While I was doing that, I worked with some of the biggest companies in the world like CNN, Cartoon Network, Warner Brothers, Coca Cola, UPS,MBA, mostly with the Fortune 500 companies in America. But after a while, I felt like I was living the American dream life. I had a house and cars and all I thought of was how to buy this and that. I didn’t want to get lost there because I realized that wasn’t why I went there. Then, I decided to come back. They ask for all kinds of craziness but I only indulge in those I feel like indulging in. Some girls could walk up to me and say they’ll follow me wherever I wanted but I wasn’t trained like that. Picking up random girls isn’t exciting to me. All I do is be friendly with them.